Cardiff Beauty Blogger - Sindyydoll ♥ Makeup - Welsh beauty blogger - British Beauty Blogger: Lily Loves... Lilygrams Elegant Touch Nails Review. Lily Loves... Lilygrams Elegant Touch Nails Review. I popped into Claire's Accessories a few days ago and managed to pick up a pack of Lilygrams for £2 in their sale, reduced from £9. 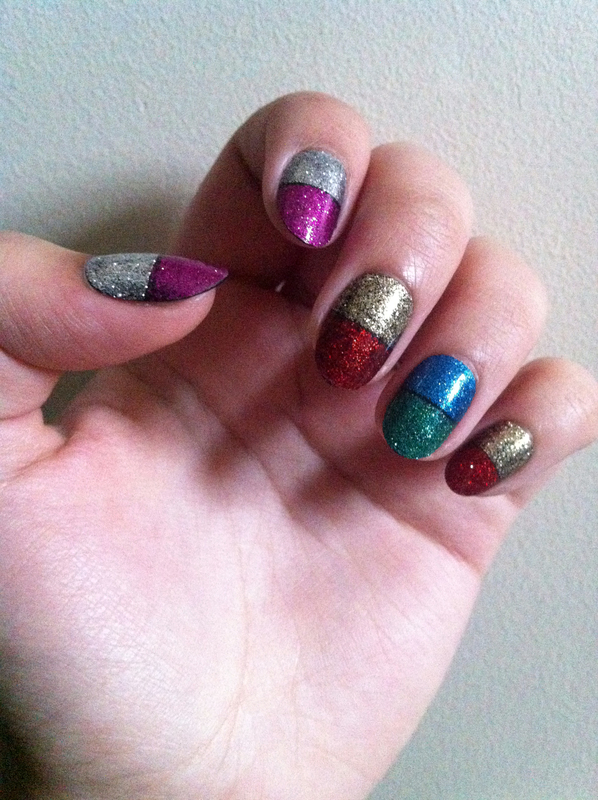 Recently, I've been using false nails and gel extensions a lot more, especially press on ones. With my final deadlines coming up it has been hard to pamper myself so press on nails have been a perfect add on to my beauty routines. I'll be reviewing these as if I'd purchased them for the full price. Included in the pack is a nail file, nail glue, instructions and 24 nails in 10 sizes. Price: £9. Purchased for £2. Texture of the glitter on the nail though is really smooth, it has a high gloss finish to the nail with the glitter trapped underneath, so it doesn't have that weird grainy feeling you usually get with glitter effect nails. 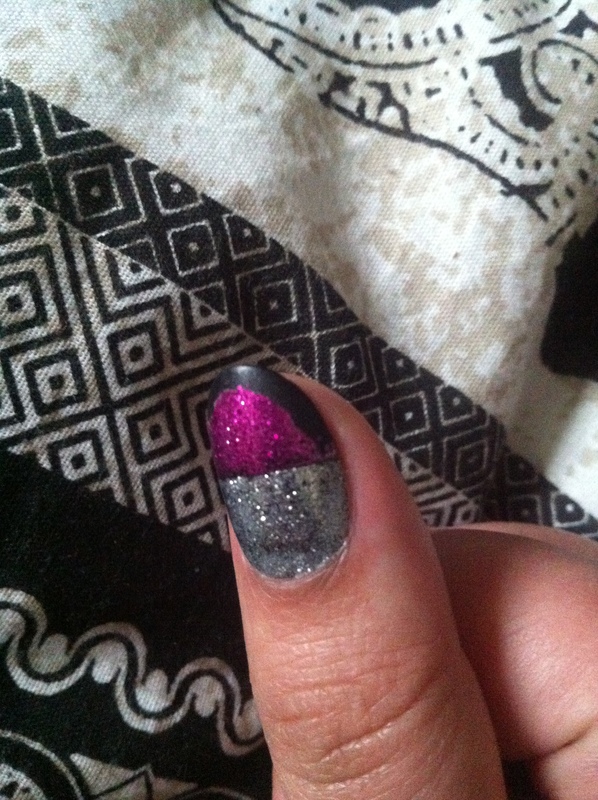 Shape of the nail is a small oval and they are actually quite short once placed on the nail. I usually have nails longer than this so it's been strange adjusting to having shorter nail, kind of like they are baby drag nails compared to my usual long talons. The fit is pretty true to size and there was no need to reshape or file down my nails underneath which is always a bonus. 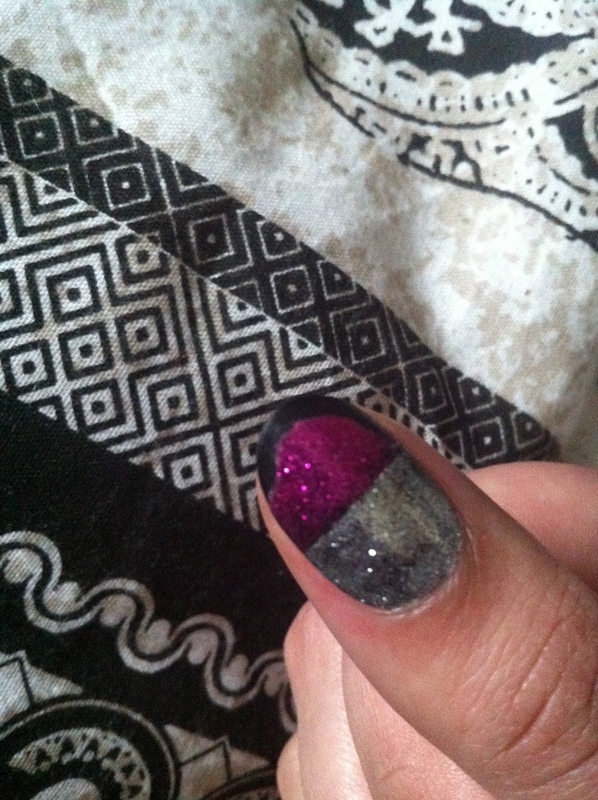 Be prepaired for your nails to look mismatched as well, as every nail shape is a different colour. If you want a gold and red thumb, chances are you may not be able to have that design as it won't fit your nail. For this, I used the glue included in the pack to see if it would last up to 10 days like the pack claims. So far I'm on day 4, and they've all stayed on well, but there is an issue. This is my thumb nail after day one. It started when I pressed my iPhone button a little too hard and my nail slightly clipped the indent when I pressed the button. It then escalated to chipping off at everything I touched. It chipped away when my hair got caught under an edge, it chipped off when I undid a coffee lid. I think I may have had a faulty pack, as it hasn't really happened to any of the other nails, so with this being said if my thumb nail didn't chip off as much as it has I'd be pretty pleased with how it looks on day 4. 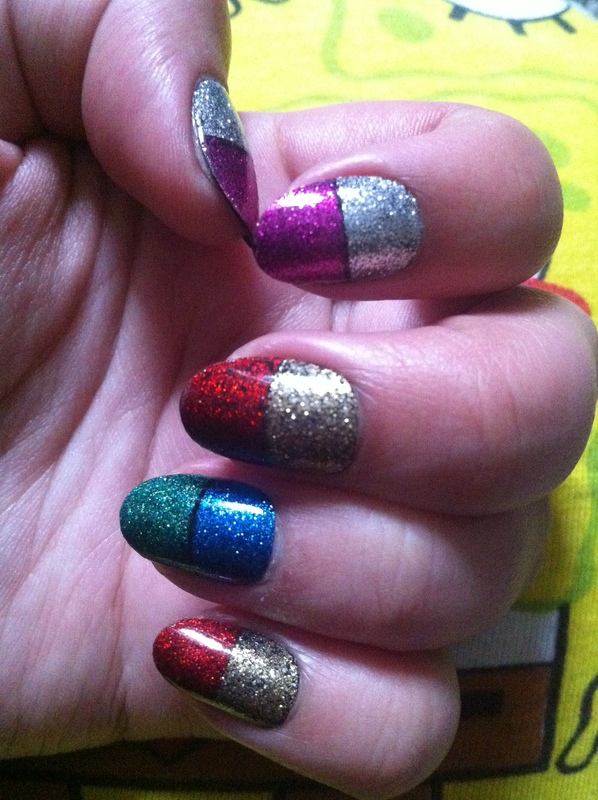 For me, it has put me off purchasing glittered nails from them but I would try others from their collections. I usually use their Bare Oval 002 when I do my nails that allows me to create any shape I want and is a great length for me to decide if I'd like long or short nails. Looking at the other nails in the collection I'd definitely be willing to try the other nails in the collection, but I'd be weary of purchasing them at £9 in case this happened again. Would I repurchase? Not in this design but I'd look into purchasing others from the collection. Lush Mother's Day and Easter Bblogger event!